Join the District Bliss Community Membership for Networking, Business Building, Virtual Workshops, Contract Assistance, and SO MUCH MORE! Sign up for our membership to get all the good stuff! Rotating spotlight: Each member will be highlighted on our blog, through social media, etc. Join the Building an Empire Membership! Discounts: Discounts on select Promotional Items, Vendor Social tickets, Workshops, and more! Join the Rising Star Membership! Join the Day Dreamer Membership! YAY! 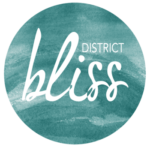 We cant wait to have you become part of the District Bliss Community! Submit the application and then keep an eye out for an email, goodies, and all kinds of fun! We have some Kendra Scott surprises for our Building an Empire members! Gifts are limited, so don’t delay!